The Shetland Times advertised the talk for the evening of Thursday 14th May 2015. PhD student Marc Chivers, who was introduced at the event as 'an Essex man,' that is to say, not a native Shetlander but an 'Englishman'!, (forgiven apparently because of his Shetland interests),was giving a lecture at the Shetland Museum and Archives Building in Lerwick on the Shetland boat. 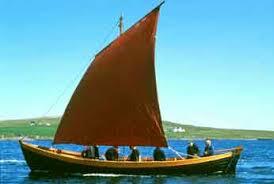 The formal title of the lecture was: "The Shetland boat: history, folklore & construction." This sounded intriguing. 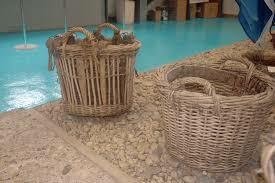 The previous Thursday talk that we had attended was one by Ian Tait on Shetland baskets, their origins, development and detail. It was an informative and interesting presentation that was rooted in simple facts of history, society, materials, localities, structure, stories, and the changes over time, including the demise of the craft as cheaper imports became available from India. The subject was comprehensively covered in an informed, informal manner. Ian Tait, the Curator of the Shetland Museum, knew his research subject intimately and spoke directly to the projected images. 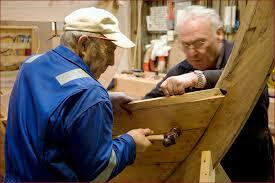 There was no reason to believe that the Shetland boat seminar might not take the same approach. Indeed, the scope of the talk was suggested in the all-encompassing title that referenced a similar breadth in the coverage of the subject matter. This appeared to be a good talk to attend. To listen to a mature student with a background in boat building, albeit English, who has spent two years researching his subject in depth with PhD commitment and rigour, would certainly be a worthwhile presentation, one that should not be missed. We were so enthusiastic about this talk that The Shetland Times said was to be streamed live on the Internet, that we E-mailed a friend in Australia who was building an Iain Oughtred yoal in his garage. 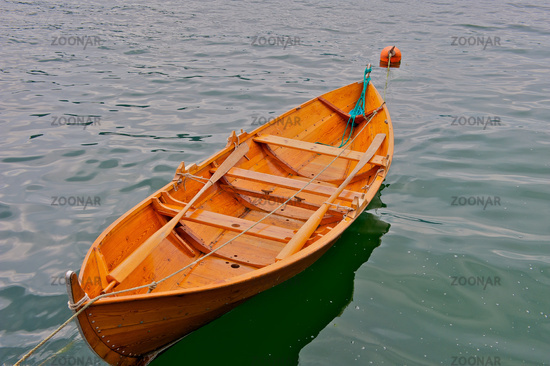 This plywood boat is based on the Shetland design in its form, proportion and general structure, giving the lighter vessel a similar performance to the traditional Shetland models. The latest report was that the skeletal construction work has finally started to look like a boat. So keen was our friend to watch the presentation, that he was up early a week before the due date of this talk, at 4:00 in the morning Australian time! When the day of the occasion arrived, we planned our trip to Lerwick: detouring to the pottery at Vidlin; travelling further to the antiques shop at the end of the Vidlin road, Outrabister House; and driving west across to the Weisdale Shetland silver workshop on the way south, both to visit venues on our list and to enjoy the drive, the landscape - the hills, water, sky, and now the flowers, the daffodils, primroses (mayflooers), buttercups and irises. It was the month of May. The journey continued on to Scallaway for lunch. After this sojourn, we had time, so explored Burra, to be surprised at its residential density and the closed, refurbished East House, (sadly pompous like royalty: 'open by appointment only'), until it was time to go to Lerwick. Has this local historical society now become a private club after renovating the old cottage complex with public money? After visiting the Cope store to peruse secondhand goods we approached the roundabout and drove along the road into town. This 'Alladin's cave' is always an interesting place to pause, a true voyage of discovery. On arriving in mid-afternoon Lerwick, we checked the Museum noticeboard to confirm the times of the talk and the restaurant's opening hours, then went on to attend to the sundry tasks on our list. We had shopping to do, and wanted tickets to see Bruce Molsky on Friday night at the Baltasound Hall. There was sufficient time for these tasks to be completed before we could dine, and then move into the theatre at the museum for the seminar. The restaurant was conveniently above the venue for the talk. 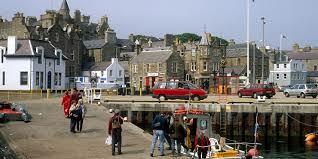 It is one of the few eating places in Lerwick with water views. Even though one might be sitting beside the great expanse of glass overlooking the broad harbour, it is always surprising how a large ferry can leave without one noticing, even when one is waiting for the event. After dining, we moved into the theatre space, unfolded the squeaky seat, sat and waited, watching the theatre space slowly fill after already observing that there was very little leg room: this might be an uncomfortable time. An adjacent seat was kept spare to allow for some leg variations. Right on time at 7:00pm, Brian Smith, Archivist of the Shetland Museum and Archives who has studied Shetland history for over forty-five years, introduced 'the Essex man' Mark Chivers. Mr. Chivers clicked the lectern to project the first image onto the screen, then picked up his tablet and started to read. Nothing was said about the live streaming, and there was no evidence of it occurring. 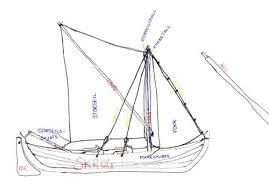 The first image was a set of four illustrations of boats, each with its own, small explanatory text. Oddly, the words being read aloud seemed to have little to do with the images on display that were never fully explored or explained. Why were they presented? It was an occurrence that was to be frequently repeated. One started to read the projected texts only too find that the thread of the read presentation started to wander; so the attention given to the screen was interrupted, diverted, to allow one to more carefully listen. It was a bizarre experience that left one in a muddle, frequently leaving one ignoring the interesting images on the screen in favour of concentrating on the rigid rigour of the read text. It was the studious PhD-style of writing being presented, almost turgid; nothing was impromptu. 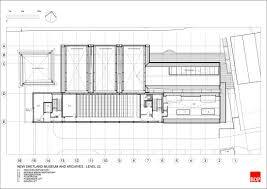 There were many formal references being quoted and acknowledged in detail. It seemed that the text was being read complete with footnotes. Even consultations with his supervisor were mentioned, as well as other discussions with the head of school, as if this 'proper' academic form of scholastic communication might be of general interest to all. The supervisor was Brian Smith who was sitting nearby. This appeared odd. Slowly one gained the impression that this evening was a part of the PhD requirements: a formal presentation of the research completed to date in a public forum - box ticked. 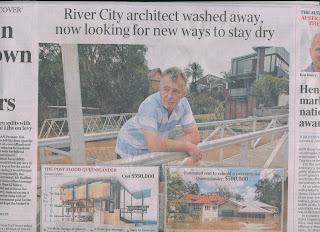 Was Brian Smith there to supervise, to assess, along with Ian Tait? Occasionally the projected images were addressed, but only obliquely. They appeared to be secondary, of little importance. The written text on the tablet was the core and continuous presentation; the illustrations were ad hoc asides. The paper was read carefully, precisely, word by word with no deviation, by the cautious, almost tentative author who was obviously not used to these public occasions. Sometimes the images illustrated the 'primary sources,' documents like old shipping schedules, business correspondence and other commercial records. Here Mark Chivers read the relevant parts of these illustrations in his text. This format made the night appear like a classic PowerPoint presentation where images of the spoken presentations are put up as if for fools to comprehend, idiot-style. The talk became an interesting accumulation of proven facts and stats, but was somewhat boring as a presentation for the public. It lacked a vibrancy, that quiet echo between an image, an idea and a commentary that could be melded by the gathering as the experience of understanding, holding a certain memorable necessity in the wholeness of feeling with the rich resonance between the presenter, his subject and his audience, a vibrancy that only enhances a story. The evening laboured on. One finally quietly agreed to accept this stolid, solid academic style of presentation with its referencing of quotes and sources, being willing to wait for the more interesting parts that might give information about the boats: their folklore and structure as the title suggested; the analysis of difference; the terms and techniques. 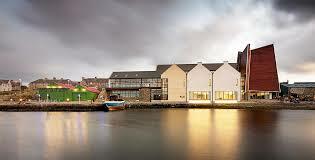 Earlier Mark Chivers had introduced himself with an apology: he was not good at Shetland dialect, its pronunciation. 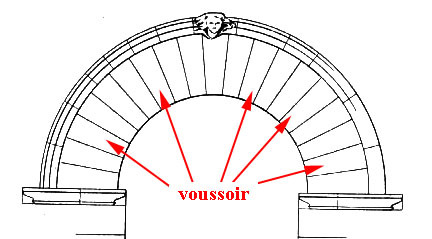 This suggested that he might be planning to talk about the specifics of terminology for parts of the boats and the techniques in local construction. One kept waiting, sitting patiently through the arduously trying details of the research expressed in the heavily structured text being read, but the intriguing detail never came. Finally after what seemed to be the statutory - the required? - one hour had passed, Mark Chivers stood and blandly said "That is all; thanks for your interest." It was an anticlimax. 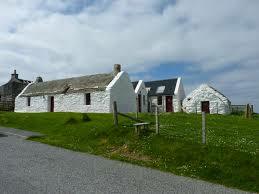 There was not one Shetland dialect word in the evening to challenge the speaker or the listener. On reflection, the rigour of research, its strategies, revelations, rationales, proofs and logic might have been of academic interest, but this was not an academic forum - well, it was never promoted as one. 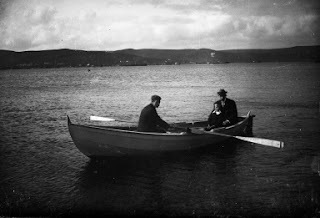 These were ordinary members of the public with an interest in boats who, no doubt, had been encouraged by the inclusive, poetic title of the talk. What Mark Chivers had for his presentation was one chapter of his PhD that could have been summarized into a shorter text presented for a maximum of fifteen minutes, leaving three quarters of a hour to explore the true richness of these boats, their folklore, their making and their structure. This really was the popular story for the evening. It was a genuine disappointment that these matters were ignored. The seminar would have gained much if this pattern had been followed, even if the research has not yet been fully resolved. It could easily have been promoted as a work in progress, and called for information from others. It is a model for developing ideas that Ivan Illich used – see his Medical Nemises published by Marion Boyers as one of the Ideas in Progress books. 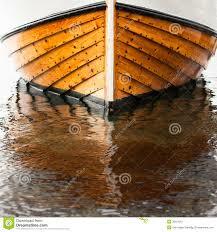 A simple sketch of a boat or a detail would have been interesting, entertaining; it might even have been exhilarating. 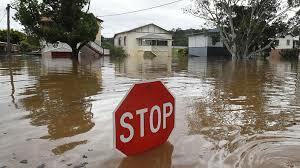 We saw very little like this. What Mark Chivers had to say was that from as early as 1600's, whole boats were being shipped from Norway to Shetland, and to Orkney and Scotland. This trade continued right up to the late 1800's when it suddenly stopped. No one knows why; maybe the herring steamers eventually took over? In the latter part of this period, fewer boats were being sent whole. 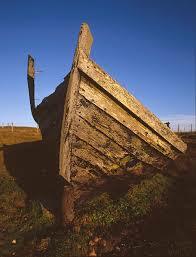 Boats were made in Norway, perhaps numbered, pulled apart and sent to Shetland to be 'rebuilt.' This was a term Mark Chivers found in a Gardie archive letter that he said was the most critical primary source of his work, in all of his research to date. The evening concluded with the usual questions. 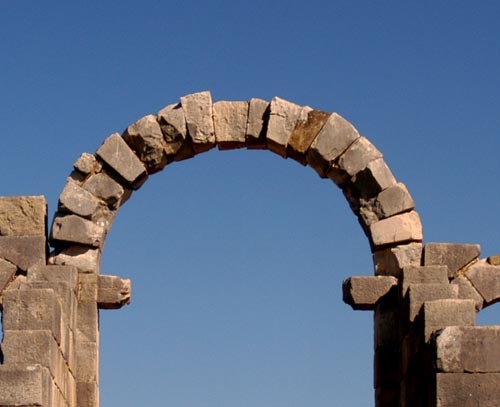 What was revealed was just how little was really known about the process of building and transport apart from the words. Everyone expressed puzzlement at why a boat would be built and dismantled, only to be transported to and reconstructed in Shetland. This strategy appeared strange. There were many questions that needed to be explored beyond the language of the primary sources, the general references and other quotes. As well as how and why, one started to ask about more details that were critically practical, like: How were the parts numbered? 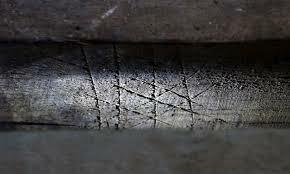 Was this a technique similar to that used by the medieval carpenters, or was it a matter of chalk marks? Is there any evidence here? How were the parts collected together - into sets for various specific boats as related parts that were assembled and carried together, or as a more loose arrangement of sundry pieces? Did the parts come with a sheet of instructions? A recent experience in his era, 2014, is of a set of roof trusses for a house that was delivered as a single package with all that was needed to complete the roof assembly: trusses, jack rafters, nails, plates, and instructions - everything that was required to build the specified roof. Was this how the boats were packaged? The jester might suggest that the Shetland boat developed from the ad hoc reassembly of the random parts of many boats into one construction of local invention, Heath Robinson-like. Was it the classic IKEA problem? The IKEA joke is that when one has finished with the flat pack assembly, there are always parts left over. These are usually explained as 'extras' supplied just 'in case.' 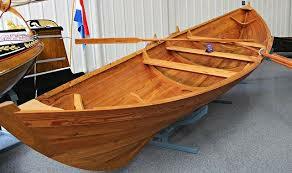 Mark Chivers disliked the colloquial term 'flat pack' because, he suggested, it belittled the skill needed to rebuild these boats; but one must agree that the term 'flat pack' does seem to describe not only the IKEA of today but, very likely, the kits or pieces of boats that were sent to Shetland from Norway. 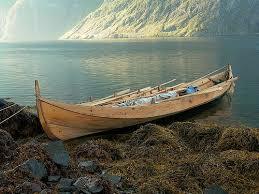 In the end, one wondered why the name was 'Shetland' boat. They were clearly Norwegian. 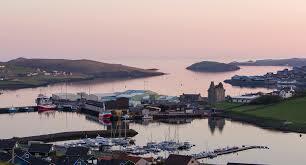 The question remains: just what is the difference that makes these rebuilds specific to Shetland? Nothing was said about this; indeed, everything pointed to the opposite proposition - that the Shetland boat was simply the Norwegian boat pieces assembled in Shetland, as the Gardie archive apparently noted. There were many questions left unanswered. 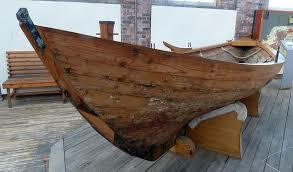 The more one thought about the whole process that had been described, the more questions arose: boats with four, six, eight oars; orders for very many oars; orders for other accessories - did these parts not get made in Shetland? Why? What was happening? 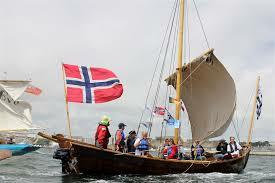 How could a Shetland-specific boat come from so many Norwegian imports over such a long period? There was no suggestion in this talk to propose an answer, just academic words. One was watching Marc Chivers read as a performance, while trying to look at the detail images and their related texts as an aside, in parallel. He performed as the amateur presenter that he obviously was: so it became a struggle to avoid disinterest. When the images were returned to, thinking they might add some variation and information, one then missed his reading, lost track of the intellectual logic; so one returned to the struggle of listening. Was the talk of some interest? Yes. Was it entertaining? No. A good talk needs to do both well. This combination can enliven, stimulate, as well as inform; it can be really enjoyable and still be 'academic.' This one was not, falling well short of its Shetland Times promotion: see article below. The title was misleading: "The Shetland boat: history, folklore & construction." The lecture said nothing about folklore or construction; it just spoke about the past, the history of trade between Norway and Shetland, and Orkney and Scotland, but there was no specific detailed research on this trade to the south. The lecture failed to identify how the boats were 'Shetland' boats and not Norwegian boats reconstructed in Shetland, perhaps IKEA-style. 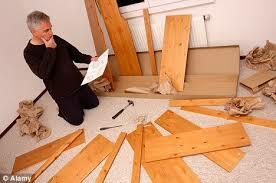 But Marc Chivers is wrong: skills are required to assemble an IKEA item. Has he ever attempted the feat that can so easily become defeat? It seems that one has to know more about language. The report of Norwegian boats being built and then pulled apart and 'rebuilt,' a statement that has become the core of the Chivers' research, needs to be placed into a context of fact, of practical realities, rather than being left as a cerebral interpretation. This is, after all, just one old text. Are there more? Words, expressions, understandings, and meanings can all change. 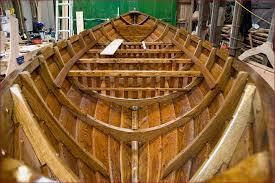 Are our visions of a completed boat being dismantled for transport and then reassembled in Shetland correct? What was the reality? This is why issues of numbering, packaging, handling, transport, kit instructions, fixings and all of the details and procedures required to be itemized to manage the reconstruction elsewhere is very important. Is there any evidence of these issues anywhere beyond isolated reports and surmises? 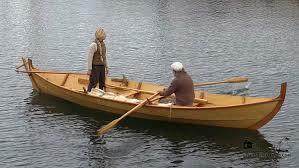 One must remember that oars and sundry accessories also came from Norway in separate orders. Was the 'boat' just the shell? 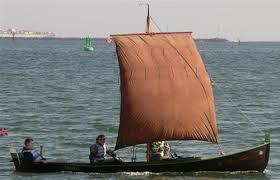 One can recall a television programme called Coast in which a traditional boat was shown being constructed. The process of construction was 'freehand.' 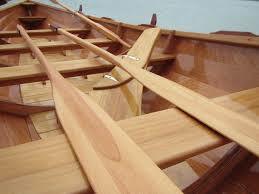 The boat was made using simple templates to angle the boards rising from the keel without any larger pattern or profile. The 'shell' was made and shaped first, with all of the other internal fittings being assembled and fitted separately. What other options are there? 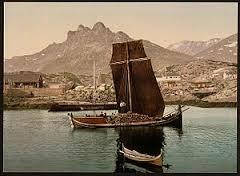 What other evidence might there be for the 'Shetland' boat? One intuitively thinks of IKEA-styled kits. Here the primary making of the parts uses tested patterns that have obviously been based on constructed/assembled units, prototypes. These parts are then reproduced as an array of separate pieces based on this deconstructed set of parts, with each item subsequently being numbered to fit the code for relationship in assembly that is defined in the attached document, the instructions. The whole set of parts comes with the needed nails, screws, and special tools too. 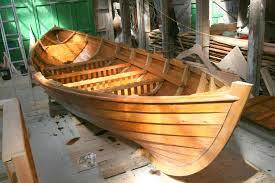 Is this the model for the production of the Norwegian boats transported to Britain? Maybe the boat building tools where selective and special, and were transported too? 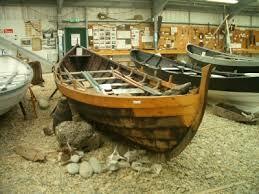 Or was it that the Shetland boat builders used their own variety of tools and processes? Is this where the 'Shetland' variations came in? The process of making parts copied from templates to create kits to be transported would have allowed the local builders flexibility to incorporate their own variations. Mr. Chivers never mentioned this, but it seems possible, and likely, that as the Shetland craftsmen grew in confidence, and gained knowledge from local experience, they made adaptations to the Norwegian plans. 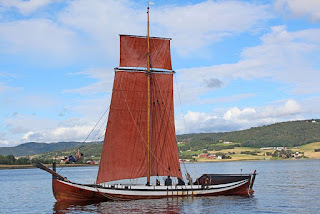 Did any of these Shetland variations, if they occurred, ever modify the original Norwegian designs to create a distinguishable 'Shetland boat'? In our little Shetland cottage, when we were pulling the place apart to prepare it for refurbishment, we found timber wall cladding, imported pine, with the name of the builder in red chalk on the back: 'Chas Thompson' in bold flowing script. Other original floor boards, the cottage was built in 1852, were similarly marked in blue, but with the owner's name: 'John Jamieson' in similar bold script. One could envisage bundles of timber being delivered to a building site marked like this: it still happens today. How were the boat bundles marked? How were they packaged? Today the trusses come in plastic wrap just like the bundles of flooring timber. What did the Norwegians do? Did they use tarred hessian or something similar? We tend to look at the past with nostalgic eyes that are willing to believe that anything might be possible; that things just happened as if by the shear naive beauty of the circumstance, by the simple innocence of romantic goodness: natural magic. One learns that nothing like this ever happens. Everything occurs and ends as it does still, with careful facts and necessity being attended to in every aspect in every detail. There must be some rational arrangements in this trading of boats beyond that recorded in paper records of transactions. 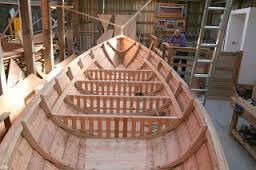 Organised craft builders would not carefully make something like a boat and pull it apart, and throw the pieces into a ship to let someone, another skilled boat builder, sort out the mess elsewhere. Knowing more about this factual management will tell us more about the whole process. We should not assume that those in older times were more igonrant than us, or that we are brighter, more skilled, more rational than they. The design of the process itself needs exploration beyond historic records of transactions, no matter how intriguing these commercial situations might be. The design of the boat is known. 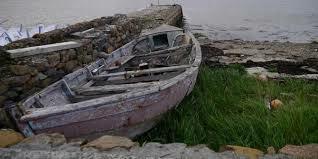 One can assume that the love of the traditional boat builder for his craft, for his work - his pride in good work - would not produce a shoddy or unpredictable outcome. 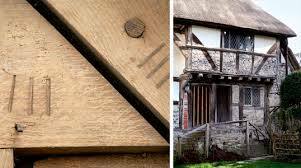 The talk of nail holes needing larger nails, and serious practical matters like this, all need more consideration. The audience knew this, even if Marc Chivers had, surprisingly, apparently not yet thought too much about it. All matters need consideration. 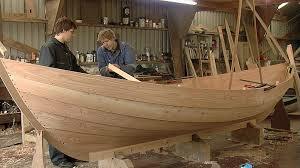 One needs to ask: How might a boat builder today undertake such a process? Might he make templates from a dismantled model and use setout marks for re-assembly? 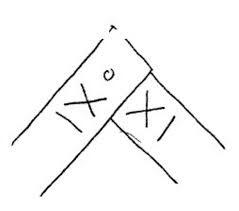 How might he mark the parts? The sixareen Vaila Mae at the Shetland Museum has floor panels numbered for installation in the same manner as the medieval carpenter - see below. What could have been the system used by the Norwegian exporters? What transport systems were used from boat builder work space to ship; from ship to wharf; from wharf to boat builder work space storage and work area? How was this all organised? Carrying the pieces for a sixareen, e.g., is no simple task: look at the Vaila Mae. 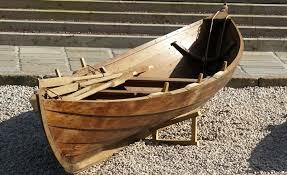 Apparently Shetland boats were traditionally constructed outside. Exactly how did things occur once boats began to be transported in pieces? Maybe the remainder of Marc Chivers' PhD research will expand on these issues? How many years has he to go? I guess it will depend on Mr. Smith. One cannot assume that folk of other past times were different, backward, lesss skilled, less crafty, more naive, or more stupid than us. They were just as proud, clever, contented and satisfied as were, are, or are not. The idea that we have 'progressed' into a brave new and better world is blindly optimistic. Seen as a living whole, those in the past were just as excited with life and participation in it as we are or are not today. Perhaps we are worse off? When looking at the past, we are really looking at ouselves. This is why an understanding of history is critical; why getting it right is crucial, because if we get it wrong, we are truly fooling no one but ourselves. Remembrance is important: see - http://voussoirs.blogspot.com.au/2015/12/shetland-remembrance-place-and-past.html and http://voussoirs.blogspot.com.au/2015/12/remembering-landscape-spirit-of-place.html Facts must never be ignored or idealised in favour of a preferred phamtom, a figment of the imagination. It turned out that the event was not broadcast over the Internet. I told my friend that he didn't miss out on much. He would have been interested in the matters that were promoted but ignored: the folklore and the construction. No doubt many in the audience would have been more interested in these matters too. The turnout for the evening suggested this: the lecture theatre was full, but not full of academics. One can only wish Mr. Chivers well in his research. It is a wonderful subject. It needs to be thoroughly analysed and reveiwed, even if the answers might prove to be other than expected. Too often today we allow our charismatic vision of the past to frame and form our hopeful perceptions. 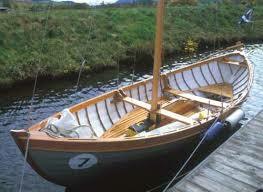 One must not forget that the Shetland boat has a future too. 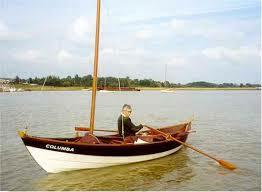 Museum lecture will be all about the history of isles boats. A PhD student who is researching the history, folklore and construction of Shetland boats will give a lecture that will be broadcast on the internet. 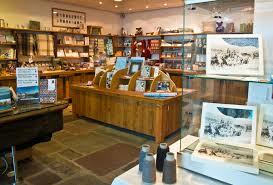 The subject matter is likely to be of particular interest to historians, boat builders and mariners. 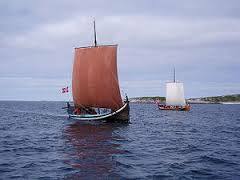 The ninety century traditional, double-ended, and clinker constructed open four and six-oared boats are unique to Shetland.These boats share similarities with our four and six-oared boats in Norway, both in terms of boat naming convention, boat construction, and boat shape - but there are some differences as well. 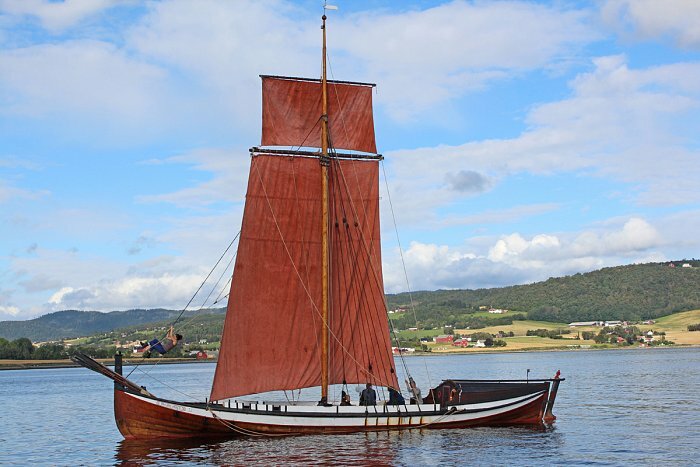 Marc's seminar will examine the evidence for the boat trade with Norway and attempt to determine when Shetland began to build Shetland specific boats. 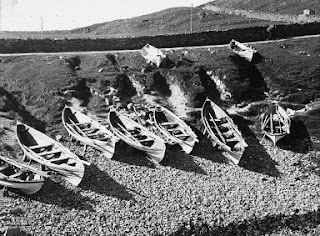 He said: "Shetland's boats it must be remembered existed because there was a need for them, they were the cars and lorries of their day, and sea and voes were the roads upon which people transported themselves, their goods, livestock, and by which they also earned a living through fishing. "Like all everyday objects the value of these boats was not recognised until they, and the people who used and built them began to disappear. 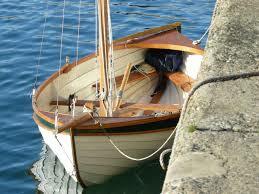 The boats as objects are of huge cultural importance, as are the people who built and used them." Marc has spent a considerable amount of time in the Shetland archives examining the Bruce of Symbister collection of papers, and has found a number of interesting things during his research. 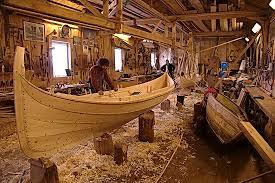 This includes a discovery that boat building in Shetland began earlier than previously thought. 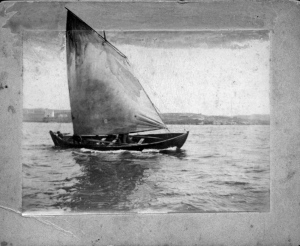 Refer https://shetlandboat.wordpress.com/2014/07/08/the-shetland-boat-an-iconic-folk-material-cultural-object/ for Marc Chivers' FEECA 2014 paper The Shetland Boat An Iconic Folk Material Cultural Object.